After splitting with Hong Kong billionaire Richard Li (李澤楷), Isabella Leong (梁洛施) revived her career in the entertainment industry and agreed to film Sylvia Chang‘s (張艾嘉) new movie Murmur of the Heart <念念>. 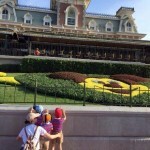 Striking a balance between her career and family life, Isabella brought her three sons to Disney World for a family trip earlier. Although Isabella and Richard were never married in their four-year relationship, they have three sons together. Her first pregnancy in 2009 was planned. One year later, Isabella became pregnant again with twin boys. After separating amicably in 2011, Isabella and Richard have found their own respective romances. Raised overseas, the boys would return to Hong Kong occasionally to visit their grandfather Li Ka Shing (李嘉誠). The 26-years-old actress admits she is a strict mother, teaching her sons to not waste food despite their privileged background. Despite this, Isabella would relax and enjoy her time with her sons whenever possible. 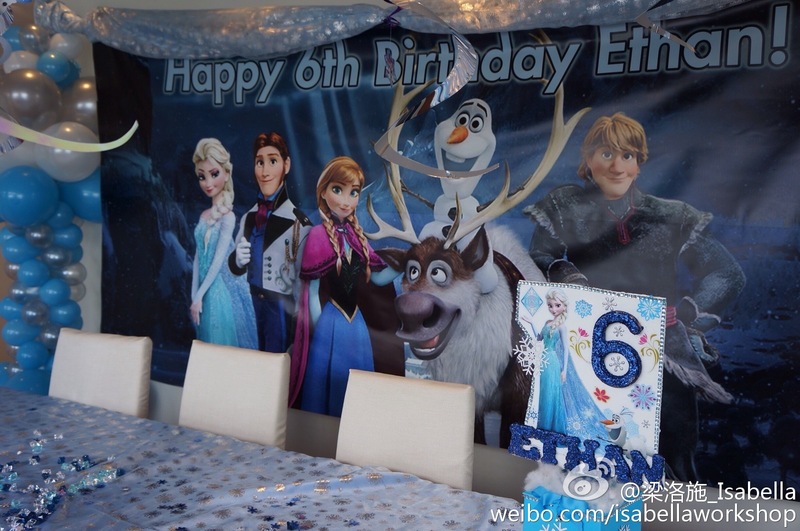 Her oldest son Ethan’s 6th birthday was celebrated with a Frozen-themed party since he is a big fan of the movie. 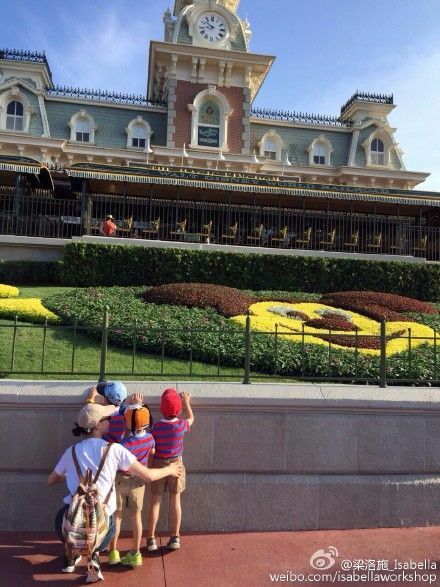 Isabella also took her boys to Disney World in Florida earlier. 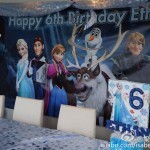 Wanting to share the special moments, Isabella uploaded pictures of the events. However, the photos only reveal her sons’ backsides. Aside from infant photos, Isabella has always been careful in protecting the boys and avoiding public exposure.